With so much information out there in recent years about autism I thought it would be beneficial to get back to the basics. Much of the information in today’s news usually relates to causes, treatments, and statistics. I want to talk more about how autism affects speech and language and often eating in individuals who have an autism spectrum disorder. While many of you reading this article are dealing with autism first hand, many of you are not and only know what you have read. First let’s talk about language. Language can be divided into 2 main parts: expressive and receptive. Expressive language is our ability to convey our thoughts into words with meaning. Basically our ability to talk. Receptive language is our understanding of what is being said to us. Both expressive and receptive language skills are necessary to be an effective communicator. When either is impaired our ability to communicate is impacted. Children on the autism spectrum will always have some sort of a language deficit depending on their actual diagnosis. Very often expressive language is impacted to a greater degree than receptive language. This is the reason why augmentative communication with these children is so important. Augmentative communication is another means of communication which can involve pictures, picture boards or talking computers (communication devices). One exception to this is found in children with Aspergers. These children will usually have advanced language skills both expressive and receptive; however their pragmatic language skills are impacted to a degree which makes understanding the world around them difficult. All children on the autistic spectrum will have deficits in pragmatic language to some degree. Pragmatic language refers to the social use of language. The ability to use the language skills you have to interact with the world around you. These deficits may be subtle to an outside observer but can be profound to a child experiencing them. Social skills deficits are very complex and they are usually mistreated and misunderstood. They are also a very emotional issue to all involved. Imagine spending years watching your child struggle to learn to communicate and once he does you realize he still can’t use these skills to make friends. 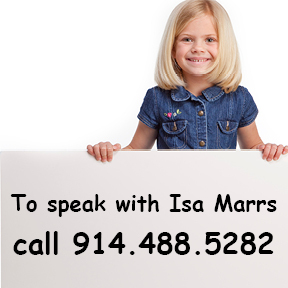 Another area that is not part of autism but quite often coexists is speech disorders. Childhood Apraxia of Speech is a severe motor speech disorder that is believed by some to occur in higher percentage of children on the autistic spectrum than in the general population. This speech disorder makes it even more difficult for these children to learn to communicate. Therapy for a severe speech disorder should be intensive and is often not very exciting. Eating is another area that is very often impacted with a child on the autistic spectrum. While it is not a speech or language issue it is often treated by a speech language pathologist. It is one of my areas of specialty; so, I thought I would discuss it as well. Children on the autistic spectrum often fall into the category of resistant or problem eaters. 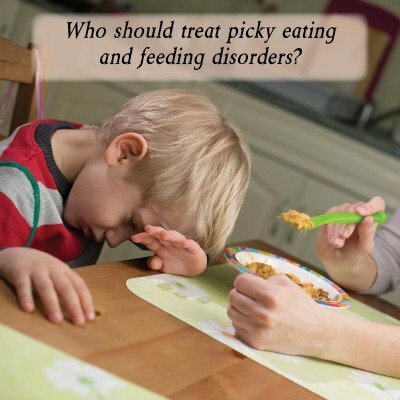 The most important distinction between a picky eater and a resistant eater is severity. A child who is a resistant eater could put his life at risk by refusing to eat or drink when pushed in the wrong direction by well meaning parents or uninformed therapists. There is a lot of information out there on picky eating and you will rarely read anything about a child starving himself if not treated properly. This is putting children’s lives at risk. While a typically developing child may not starve himself, a resistant eater might. If you are a parent of a child with autism or a professional working with these children I am sure you realize the importance of getting the right and the best speech language pathologist you can find. While these children definitely have other significant issues that need to be addressed by other experts, we can all agree that communication is the central concern in autism spectrum disorders. I have worked with hundreds of children on the autistic spectrum over the years and as a whole they are the most challenging to work with but in turn are the most rewarding. Friends and professionals alike have told me to only give my child (picky eater with autism) food options that are healthy and provide variety assuring me that when he is hungry enough he will eat. I have often thought that he would rather starve than eat anything other than a starch. I have pushed him as many as two or three meals and he would never ever even try, no, not even touch any of the other foods offered. So it is good to hear your validation that children may be harmed by such ideas of forcing a change in diet. I have tried lots of things but have given up and I just want him to eat. I am glad you found my blog before following advice that could have harmed your child. To know for sure how to best deal with your son’s feeding issues you should seek professional guidance. It angers me that it is rarely mentioned that some children will starve themselves when preferred foods are withheld. Is it possible to have autism and never learn to speak? I have an uncle who does not speak and we think it’s autism. He is in his 40s and when he was growing up, no doctors could diagnose his condition b/c the lack of understanding back then of these conditions. Yes, some individuals with Autism never develop language. Does he have any other special needs other than his lack of speech? My son was diagnosed as PDD-NOS at age three. He never transitioned to table food as a baby. We went through two different feeding therapy programs, one at age 2 and one at 4, at highly regarded hospitals. He is now 10 and he has not progressed at all. He only eats 3 foods. Should we try another program now that he is older? It has now become a social problem. He is “normal” in every other way. This is the one thing that makes him stand out with his peers. I would definitely recommend trying another therapist. Especially if it is negatively impacting all of your lives. I have a 9yr old granddaughter who was just diagnosed with aspergers sydrome. I had her eval when she was 31/2 for sensory int disorder, and she did have it. It was affecting all of her senses. She has outgrown/overcome most of her sensory issues except, her eating. This is a big issues. She only eats certain foods. Hot dogs, chicken nuggets, french fries, bacon, waffles, toast, pancakes, dry cereal, pop tarts and popcorn. No fruits or veggies ever. She drinks orange juice, milk, V8 fusion and fruitables, all good juices. She does not eat sweets, only some ice cream. Also she will eat some yogurts. Should we be worried? Should we be taking her to a food therapist? I am so worried about her not getting the proper vitamins. She will not take vitamins. It’s great to hear your Granddaughter is doing so well in so many ways. It would be beneficial to see someone who specializes in feeding issues and help her expand her diet. It could be a long road however there is hope for positive change. Hi. My child is 28 months and is on the spectrum. He only eats dry cereal and drinks milk throughout the day. I hear from many sources that gluten and casein should be eliminated. These are the only sources of his diet. He refuses to eat or even taste anything else aside from the occasional vanilla wafer cookies. Should I try eliminating gluten and casein for the sake of his symptoms improving? Thanks for your help. There are many different diets out there; so I would not recommend trying the Gluten Free Casein free diet on your child without guidance from a knowledgeable nutritionist. This is especially true given the fact that he has such a limited diet. You want to make sure you are doing what he needs first. Thank you for your response on my granddaughter’s feeding issue. You stated she should be seeing someone who specializes in feeding issues . Can you explain what type of person specilizes in this? You would need to look for a Speech Language Pathologist or an Occupational Therapist with an expertise in feeding. They can often be found in hospital based centers. My son is 2 and the doctour said today he may have autism cause he is not puting a bunch of words together can autism just affect his speech? Autism would impact much more than speech and language development. It would impact social skills and behavior as well. Most often doctors use assessment tools to determine if a child should be diagnosed with Autism . I recommend asking your doctor what he sees in your son that would lead him to believe that he has Autism. I a 4 years old boy (just made) with an ASD (high functioning/ Asperger’s like). He talks to tell us everything he wants and sees, he plays with dolls taking care of them – he feeds them and changes diapers, he dances and sings, and likes to have attention of others. He started to talk about 33 months old; but still has some limitation in use of language. No major motor limitation (he rides bike with little wheel), no visual imparment (he tells almost all colours), no hearing imparment. He is on ABA (40 h/w) and on DAN diet. As I know there is no “feeding specialist” in my country. My biggest concern about him right now is food. I believe he is a resistant eater. My paediatric also said “I’ve never seen a child starving to death, he will eat”. He eats soap (rice, meat or fish and a sample of vegetables – brocolis, green beans, carrots, peas, but all smashed), smashed fruit, juices (orange, pear, various fruits), and the only solid food he eats is one sort of cookies. I also have some limitation on introduction of food cause he’s diet is no gluten, no caseín, no soja end low on oxalats. He improved a lot on this diet. When he eats cookies he seems to think how to eat, where he can put the food. He also have trouble while swallowing since he was a baby. He coughs a lot and sometimes even vomits. I need help to try to help him. Can you help me? Do you know anyone in Portugal / Spain/ Europe that could help us? Socially we try not to be affected by this. We go out, we encourage him a lot when he eats cookies well. And we try not to take care about others (even family). We have already too much to take care of as we also have another boy with 17 months. I am sorry to hear about the feeding difficulties you are having with your son. An ABA therapist should be able to help with any behavioral issues around feeding and I would encourage you to speak with the therapist. In regards to the difficulty swallowing I do not have any recommendations for a therapist in your part of the world. It would be beneficial for your son to have a modified barium swallow study which would most likely be conducted in a hospital. I would suggest calling the local hospitals and speaking with them regarding this assessment. They may also know a feeding therapist to refer you to. Hello, my 3 yr old son has diagnosis of autism. He was recently re-evaluated in speach and the therapist commented that his receptive language is quite a bit lower than his expressive. I see a lot of info for the other way around but not much on this scenario. Is it that uncommon? This is not uncommon especially with the diagnosis of Autism. Usually it is difficult to figure out what these children truly understand because of the inconsistency in responding. Because of this they often will not test well especially when it comes to receptive language. My grandson is a 6 year old and was diagnosed with mild autism. His social skills are quite well that is he has eye contact and practically understands everything in the sense that his receptive is much higher than his expressive and except for a few garbled words he power of speech is next to none. We tried all sorts of tests and examination with psychologists, nutritionist, speech therapists and even psychiatrists. I she destined to remain in such a state? Unfortunately, without meeting your grandson it is not possible for me to give my opinion on his prognosis.In general, most children with high functioning Autism do speak. Does he receive intensive speech therapy? Thanks for all the information. It is great to hear that your son is able to talk in short phrases. It is likely that he will keep making progress! You have so many concerns that are difficult to address without meeting him. Have you ever gone to a Developmental Pediatrician? My 26 month old son just has his speech evaluation this morning. The ST said that he scored at a 17 month old level for cognitive… and his receptive speech was way lower than his expressive speech. This concerned me, I started looking online and all flags point to autism. Does it mean that he has autism because his he is saying more than he’s understanding? No it does not mean he has autism. Autism also impacts social skills and behavior. I would recommend seeing a Developmental Pediatrician if you have concerns regarding the diagnosis of Autism. Hello Isa, My 4yr old has just been diagnosed as being very high on the spectrum of autism, She is a very different child when she is at home then when she is out in public, at home, she knows her colors, shapes & her numbers (up to 20) and her speech isn’t great but she learns a new word everyday . She is hard to understand if you are an outsider but her father and I know what she is saying most of the time…she sings songs from her favorite shows and has a surprisingly good memory but when she is out in public especially in a small room like a doc’s office or something like that she is a different child, she can’t calm down and just screams, kicks and puts her fingers in her ears (she also does this at home when the vacumm is turned on and with water from the faucet in the tub)..she is not a great eater at all, she drinks milk, juice and water, but will only eat some dry cereal, goldfish, crackers, bananas and loves dry or cooked pasta…she has been eating like this for the past 3 years, she screams and will have a fit if you offer her anything else..my question here is can autistic children be different at home then they are out in public..it makes me question what she really does have, even though 1 doctor has said Autism. She also likes to scream, kick her feet on the floor, slam her fists together and also her knees on the floor..Could it be something else besides Autism? My 14 year old nephew has autism. I’m not well informed of his health other than what I observe when he visits his grandmother (my sister) during long school breaks. My nephew is also type 1 diabetic. This makes it extra difficult for him and for her to help him control his diet. Even with the medication he is now taking to help control his sugars he tends to find some sugary substance to eat and puts his health in jeopardy. Just today he found his prescribed medicine and drank from the bottle because the substance was sweet. He’s always trying to hide things to eat from his grandmother even though he is given a healthy diet regularly. There have been several times where he has been taken to the hospital due to seizures. Throughout his life he has struggled with his problem and us with him because we can’t and don’t know how to help him, please suggest. i am in the middle of trying to get my 4yr old son diagnosed he has been referred to Pediatricians speech therapists dietitians and sees a school psychologist once a month as i believe he is high end of the spectrum he has speech and language issues social issues and eating issues.On the subject of food he is a picky or as you describe resistant eater he would and at 1 point has starved himself if he doesn’t get the foods he wants, his diet consists of weetabix with warm milk stirred to make porridge for breakfast a nutella spread sandwich 50/50 bread and butter and a heinz 1-3 yr old toddler tray meal that do contain veg and a fraction of meat he will not eat real dinners, yogurts (fromage frais) for dessert he will only snack on kit kats milky ways and foxes triples bread rolls burger/hotdog buns muffins and biscuits so absolutely nothing healthy when offered something different it causes a meltdown. I was told to just put the food in front of him eventually he would eat, he stopped eating i was told to persist he still wouldn’t eat i gave in as i could see my son had chosen starvation and gave him back his regular food i would rather he ate crap than not eat at all . Without seeing your daughter it is not possible for me to give my opinion on her diagnosis. The behaviors that you described seem sensory based and I would definitely recommend an evaluation with an OT. Many children with and without special needs will behave differently outside of their homes than they do in their own homes which is their comfort zone. I would also recommend speech and language therapy if you are not already receiving it. Thank you for the awesome update! Eating issues can improve with time and patience! Autism is not something anyone outgrows even with therapy. It looks different at different ages however. Just like any child children with Autism will develop and change as they get older. If a child has grown out of Autism it is most likely that they never had Autism to begin with. I agree with you that he needs to eat something. There are strategies to help him increase the variety of foods he will accept. I have a list of feeding clinics around the country. Where do you live? Where do you live? I may be able to refer you to someone in your area. My 26 mths son has ASD and already enrolled on 1-2-1 therapy program (22hrs ABA, 6hrs OT), he is doing well academically and his motor skills improving but he has serious speech delays, we are going to add speech therapy to his program and my question is how many hours monthly will be reasonable for his age? From your experience for a mild autistic child what is the average hours should be introduced and what is the rate of development you normally see? My daughter has a son that will be a year old in 16 days. She is worried that because he was very verbal literally from birth with baby sounds and now much quieter. He says dada but nothing else not bye bye or Moma. Could this be a sign of autism? He plays with his toys but would much rather play with thing like draws in kitchen or stairs remote controlls. I fell this is normal but she is concerned because her girls talked really early. What you are describing does not describe Autism; however, without seeing him I could not give you my opinion. Many 16 month olds like to play with “things” rather than their toys. With that being said, he should be making more sounds at 16 months. Given your daughter’s concerns I would recommend that she have him evaluated by a Speech Language Pathologist or a Developmental Pediatrician. My 3 yr old was recently diagnosed with autism. He has about 10 unclear words in his vocab. He’s getting 30 minutes of speech and OT through cps however it isn’t enough, I feel, as well as his teacher. He’s on a 10 month waiting list for services with Illinois masonic. Is there anywhere I can take him in the meantime? Another huge concern is his eating; all he’ll eat pretty much is bread and fries. I’ve tried not feeding him all day for him to try something new, but it doesn’t work. He eats bread every single day, about 5+ slices of wheat. What can I do? I agree that more therapy would be extremely beneficial. I am not familiar with the providers in your area. If possible I would look for a private therapist or possibly a local hospital. Often hospitals will have speech clinics for out patient treatment. Hi. My son is almost 6 years old now. He was diagnosed with ASD @ age of three. His primary symptom at diagnosis was speech delay. He is currently on ABA therapy and his speech has improved. For his feeding problem (he has very limited diet) we requested his therapist to design a food program to help increase the variety of food he is eating. Since then his food choices has increased however he still refuses some food (anything with gravy). He has improved significantly over the years however my main concern is still his limited choices of food and recently with increased vocabulary i noticed that he seem to have “flat” tones. Should i look for a separate speech therapy sessions for him ? My son is three years old and is diagnosed with autism. i am still in the initial stages of understanding autism and its effects. my son does almost most of the stuff by actions, but his speech has not developed, and refuses to use the toilet. he only will use the diaper to pass stool, or else he goes without doing so for long periods of time. His is able to hear, but does not respond to his name immediately and does not obey commands. can you please advice as to how i should be proceeding? I have twin boys 3 year old , who as of now been lead to believe has autism. They are in programs and one is progressing in areas but still cannot talk and will not eat wont let anything near his mouth ,every once in awhile he would pick up something recently and taste it. My other child eats and etc but cannot talk only mumbles and loves electronics. While i think autism may play a part something in me tells me the TV did more damage than is accepting to believe. These kids were basically placed in front of a TV since birth and been in front of it since. They do not respond to their names yet would respond to their tv show from rooms afar. Hi my son is 34 months old and he is not speaking anything expect 6 words and he is not eating any solid food except cookies raw noddle rosted corn potatoes chips milk and joice i try every on him but nothing work for him i need help plz thanks. I’m worried my son has autism. He is 2 and a half and only says mama, mum, baba (for almost everything), and yes. I’ve heard him say other things like yes please and bampy (for Grampy) but only once and when you try and get him to repeat it he won’t. He’s very shy, goes to toddler group once a week but is very shy and takes about 45 minutes to leave my side and warm up by that time it’s almost time to go. Tantrums are getting more and more but I put that down to his age. What do you think? I’ve spoken to HV’s time and time again and they just say ring back in 3 months if no improvement in his speech. I’m due to call back in August and she said about getting a hearing test and then speech therapy. Hello! My son is 22mo old and does not speak. Aside from saying “eat-eat” when hungry, he says nothing at all, not even mama or dada. He does however make Alot of noise, lol, like a full fledge convo in a language known only to him. He’ll make sounds, like “ca-ca” for car but thats about as close to a word as it gets. Otherwise its a string of chirps and garble. He’s very loving, very social(will give an abundance of kisses and hugs) and he’ll sort of force you to play with him by putting toys in your hand, but seemingly would rather throw a tantrum if i ask him to use his words. If i ask him to bring me a specific item, unless he “wants” to and also providing something better in transit doesnt catch his eye first, he’ll refuse to do it and “ignore” me, continuing to do as he pleases. He prefers leap frogs or things that make noise as oppose to blocks etc and he likes books but only if he holds them and turns the pages at will. Hes being evaluated the end of May for possible autism because of the speech delay. Is there anything/more I could do to work with him at home? Lastly, he’ll eat just about anything as long as it can be swallowed whole. He loves fruits, veggies, carbs alike. The only thing he’ll really chew are nilla wafers or gram crackers. His meats, everything, he’ll attempt(no matter how rough) to just swallow whole, to my absolute terror, im sure you can imagine! Hi! How would you differentiate a 6 year old typical child’s language compared to a 6 year old child with autism? My 28 month girl is not speaking. she hardly vebalises. all she says is ba.she points to things she wants.Her sound seems to be too harsh as if coming from throat?it is hard to make her eat. she cant sip water from a straw,sometimes she chokes on foods. we have to place the food back in the mouth otherwise everything comes out. she still drools a lot. She walked around 16 months, sometimes i see her doing tippy toes.it is hard to get her to sleep at night, frequently wakes up and wants to hug and sleep throughout the night . I had gestational diabetes on insulin at pregnancy.she was a low birth weight 2.2 kg. I am concerned if this is autism?does tongue tie cause problems like this?can you advice as how should i go about? My 3 and a half year old grandson has been tested for autism. The doctor says he does have it but waiting on the results. After reading the above comments he does a lot of what’s been posted. He only eats bread waffles cereal bananas strawberrys fries…mostly all starch..he will not eat any kind of meat..he loves cartoons and can sing to them but he can only say few words..but if you ask him to say something he will repeat you…he’s very active..he plays usually by himself. .he can’t carry on a conversation..but he learns fast like playing on my cell phone..I’m just praying when results come back that its a mild case and reverseable. Does anyone know what type it sounds like he has? Hi, My dayghter will be 4 on oct 20 2013. She have been receiving speech therapy for more than a year now. Although she knows many words and rhymes and repeats them, she does not communicate with any body elase. Not even me ( her mom). I am really worried. The teacher said she is improving at school from where she started. She is s good eater and eats healthy. She screams loud and laugh sometime for no specific reason. She have also been diagnosed with a lot of ear fluid. Is she autistic? please help me out. I am very concerned. Thanks. Hello – I had a hunch that my grandson had some form of autism very early around 18 mos. He always needed a background noise, focused only on one thing, didn’t respond to his name being called .In other ways he adores classical music, did well 1:1 and could read by 18 mos. We would ask him a word and he would point to it with other words around or make us stop on the word flash card. I never knew that food was a symptom of autism. H only eats foods that look bland, chicken nuggets, french fries, milk,apple slices (no peel), pancakes, bananas etc. I too worry about his diet. He’s 6 now and still only eats these foods. He never really ate baby food. He went from bottle to table food. Of course I tried all the usuals, sweet potatoes, peas, green beans but he wouldn’t eat any of it. It all makes sense now. I am the grandmother of a beautiful 25 month old grandson. He is still eating baby food. If we try to give him solid food, he gags and vomits. He drinks soy mild and juice. He had several ear infections and now has tubes in his ears. We were told he hears high tones and low tones. He babbles,laughs,is very verbal, but has not spoken one word. We live in Boston and we were told to see a developmental physician. Every hospital had a 10 to 12 month waiting list! I finally demanded my grandson be seen and we have an appt July 19th at Boston Medical. We also have Early Intervention come to the house but I fear he has more serious issues. I’m wondering if all this is related to his hearing impairment, or autism. He is very lovable with family, but does not make eye contact with others. Any advice? hi there my 6yr old sons speech is really slow he finds it hard to explain things and find the right sentence hes very emotional with alot of things and when u try to ask him something he just bursts out crying im starting to get concerned with this.he does so well at school work at school and when hes home he gets so distracted when i talk to him he seems to stare into space as if its not registering right could this all be signs of some autism? it would be great to have your opinion on this. My 2 year old son was diagnosed with PDD-NOS. He only eats dry cereal and drinks milk and water. On certain days, he will only want to drink milk. He wakes up in the middle of the night crying because he is so hungry. We took the doctor’s advice and did not give him milk in the hopes that he will be so hungry he will eat other foods. That day, he starved the whole day and was crying due to hunger. He is currently getting ABA, OT, and Speech. They are supposed to be focusing on his eating; however, he has not improved. His eating habit is getting worse. Providing him rewards does not work either. I am not sure if it is because he does not understand or he is just refusing to eat. Is there a way or a special method to get him to eat something else that will fill his stomach? Thank you in advance. In a young child with Autism it would be extremely difficult to address these sounds. It would be impossible for me to give you tips without learning more about this child. My suggestion would be to have them see an SLP in their area. It is great to hear that your son has made progress with his eating. He will probably always have a somewhat limited diet however if he keeps improving that is all you could ask for. Because of his diagnosis it is recommended to continue to work on speech and language as well as feeding. I would discuss with your therapist her ability to address both needs. I definitely recommend both Speech Language Therapy and Occupational Therapy with a diagnosis of Autism. It is expected that your son would be delayed with potty training as it often goes along with language development. An ABA therapist could work with you on these skills in your home. Can you get an outside private evaluation for a second opinion? There is no question that most children these days watch too much TV. If there is any question that a child might be on the Autistic Spectrum I always say that they should watch as little TV as possible. Time interacting with real people in the real world is invaluable. Without meeting your son I can’t give you my opinion. I am happy to hear that you will be taking him for a developmental evaluation. Please keep in touch. Have you had him evaluated? It seems from your post that he definitely need speech and language therapy. Where do you live? Without seeing your son I cannot give my opinion regarding Autism. However I can say that Autism effects much more than speech, as social skills and relatedness are impacted as well as behavior. However I would not recommend waiting to seek guidance if you are concerned. I would have him evaluated by a Speech Language Pathologist as soon as possible. I see from your post that you probably had your son evaluated by now. The best thing you can do is find an excellent therapist(s) to help him and guide you through this process. He is still young and doing lots of great things. So hopefully by now you have seen some nice progress. I would recommend having him evaluated by a Psychologist or Neurologist as soon as you can. If there is anything going on developmentally with your Grandson you want to start addressing it as soon as possible. Children with Autism vary greatly when it comes to language development however they always have delayed/disordered language. When they do use language they often use echolalia meaning they will repeat back what was just said to them. Children with Autism may also use “Scripting” which means they repeat things they have heard in the past often from TV shows. Sometimes they will try to use these scripts appropriately in real life situations. If you have any concern that a child you know might have an Autism spectrum disorder you should have him evaluated as soon as possible so proper treatment can begin. It seems that you have many concerns about your daughter’s development. I would recommend having her evaluated by a Pediatric Neurologist as soon as you are able to. Without meeting and evaluating your Grandson it is not possible to give you my opinion on his diagnosis. However, I do recommend starting therapy regardless of what the evaluation says. His speech is significantly delayed and he would benefit greatly from intensive speech and language therapy. Unfortunately, without evaluating your Granddaughter I am unable to give you any opinions on her diagnosis. I would recommend asking her Speech Language Pathologist to refer you to a Pediatric Neurologist or Psychologist for proper diagnosis. Does your therapist have an opinion? I would recommend seeing a nutritional specialist who works with children with developmental disabilities. If he has issues with milk he could possibly have issues with other foods which could cause the lethargy. They could also help you with supplements. Where do you live? I would recommend a minimum of 2x weekly speech therapy. I never recommend 1x a week. It is just not enough to make any progress at such a young age. Are they working on feeding? I would also recommend an Occupational Therapy Evaluation. This could address some of the sensory concerns you are reporting as well as some of the behaviors. This is where I would start. Please keep in touch. Aspergers is always a possibility however that diagnosis is most often given to older children. At your daughter’s age they usually say PDD-NOS. Without meeting your daughter I can’t give my opinion on diagnosis. If you do not get a diagnosis this time I would just keep doing what you are doing and addressing the areas that she is having difficulty with. Unfortunately, diagnosis vary greatly depending on which specialist you see. I often see children here who have been given several different diagnosis from several different professionals. It seems that you are covering all your bases. The only recommendation I have is to start therapy immediately. Early intervention may make you wait, and precious time is ticking every day. If EI does not start right away I would find a private therapist in your area and get started. It is rare that a child gets to 6 and has undiagnosed Autism. Not to say it doesn’t happen. I would recommend seeing a Pediatric Neurologist to rule out any Neurological conditions that could be causing staring episodes. I would also recommend a speech and language evaluation to determine whether your son has a language disorder of any kind. Have you had a nutritional evaluation by someone who understands Autism Spectrum Disorders? There may be a reason he does not want to eat. I would definitely explore this. I would also recommend talking to the therapists and finding out how they are addressing the eating issues and if at all possible work directly with you. Nabeela, if you haven’t already, I would definitely consider finding an Ear,Nose & Throat specialist because sometimes the fluid is the issue where speech delays are concerned. My grandson is 10 and has autism. He is very thin – you can see the bones in his chest and back. He is not too interested in eating and as with most autistic children, has only certain items he’ll eat. Such as waffles, cereal, pancakes, fish sticks, chicken nuggets, macaroni & cheese, spaghetti, some fruit in cups (pears, peaches and apples) He likes chocolate milk and juice. Big water drinker. When I look at what I just wrote, I realize he eats more of a variety than he used to, but wants to stop eating after one bite. When he is at my house I fix Carnation Instant Breakfast Essentials to go along with the little he eats, but it takes all day to get one glass down him. I just put it in the refrigerator and offer it off and on all day long. He likes milkshakes. Is there anything you can put in a milkshake that would given him nutrients he needs, and help him gain weight? I have a six year old grandson that will get in the car and say he is hungry. I’ll ask him what he’s hungry for. He says, I’m hungry. I say, honey, would you like Cheeto’s or something like a sandwich or a pizza lunchable. He says, I’m hungry. I say, I heard you say that you are hungry. But I can’t solve your problem unless you can help me by telling me what you want to eat. He says in a frustrated tone, I’m hungry. I’m hungry. Once again I try to explain that I can’t help him if I don’t know what he wants. Anger, tears, and the same response, I’m hungry. This kind of thing has happened many many times. His mother has been very ill over the last year and a half but it was happening before she got sick. He seems to have anxiety issues as well. Where do I need to take him for an evaluation? What kind of evaluation do I need to do? There is something “off” but I can’t figure out what it is. His entire family has been in crisis over the last year and a half . I think they suspect something but are too overwhelmed to deal with it along with everything else. Was hoping someone here could offer some suggestions. hello my daughter is 3 yrs 8 months and im not too sure what to do, she cant hold conversations with other children, she is great at copying the things people say and learning new songs to sing, she is also really good with numbers and counting. One of her teachers pulled me aside today and said that they will keep an eye on her for a bit because she cant hold conversations with the other children, me and my husband were a bit worried about this ages ago but I pushed it out of my mind because she seemed to be fine to me, but the teacher saying that today shook me and I thought she actually doesn’t hold conversations she just copies what we say. can someone please give me a bit of advise because I don’t know what to do thank you. I would recommend speaking to a nutritionist about this. There are many nutritional supplements on the market however it is important for someone to look at your Grandson’s nutritional needs. I would recommend talking to both a Psychologist and a Speech Language Pathologist. If the family is in crisis your Grandson may need some emotional support from a therapist such as a Psychologist. Also if he is unable to express his needs and answer questions he could have a language disorder. Both professionals could assess him and determine the best type of treatment to help him and you. It is good to hear that a preschool is talking to parents about their concerns. You should definitely have your daughter evaluated by a Speech Language Pathologist. If she has any other concerns about your daughter’s development she can refer you to other professionals. I would recommend that you do this right away. If there is a concern of any kind the sooner treatment is started the better the outcome is for the child. Please let me know how it turns out. Hi There, My son is 26mon, has always been ahead developmentally ie) walked at 9.5 mon etc. He had a terrible virus at 14mons & stopped mimicking words and new speech dev slowed. At 2omon I realized his little friends were wayyy ahead re speech. I put him in private speech therapy to avoid a 6mon wait list for public, I had a pediatrican assess him (but she doesn’t specialize in the area), finally saw an ENT, bc no one had seen in his ears in 1yr due to wax impaction. Everyone felt our issues were due to hearing impairment. He recently had ear surgery to remove wax, put tubes in due to fluid &infection, & fixed his minor tongue tie. He has some beh probs, hitting, pinching, scratching towards parents and other kids. In my opinion due to lack if speech and sometimes he’s good & other times I can’t have him around other kids. He’s a very picky eater & we resort to putting his fav show on & feeding him to get food into him most days. He’s allergic to peanuts, eggs & is milk intolerant. He has about 25 words and has added a few more since surgery. He’s loving, makes lots of eye contact, always talking me for walks to see things, he’s close to being potty trained, he’s partaking in imaginary play, still loves peekaboo, he sings part of wheels on the bus etc. He also has a great understanding if lang. He just saw an actual dev pediatrican yesterday and she kept saying autism over and over…sigh…we’re moving to the US fr Canada in a few weeks and I don’t know the system down there…if possible could you email me? Thank you! Where in the US are you moving. While similar each state has a different system and I am only familiar with New York’s system. Liz, Hi Everyone, I have a four year old son who was diagnosed at 3.5 y by a neurologist as autistic. He was born a normal child, nothing of concerns. My husband and I started to notice that something was not right with when he was 2 .5 yrs old. He started to talk few words when he was one. At age 2 begin to loose al his speech. He used to eat meal-meal porridge, purity, wheat-beex, isomil formula, ect but he stopped eating all that. He does not eat solid food , at the moment he only eat yoghurt and nespray milk. He recently saw a dietitian who prescribe Promise PE supplement and few other food to try on him. My son is very sensitive to loud noise but we seeing great improvement on that. A speech therapist sees him on a routine basis and will recently be seen by an OT. Please Help. I am a single father of a five year old autistic child and new to the whole parent bit ..
My son only wants to eat breakfast sausages chicken nuggets and romoen noodles and snack chips all day I am concerned cuz I do belive he needs to eat so much better and feel he isnt getting the right amount of nutrition for him to grow a progress in his growing stages of life .. can some one please help me and share any info on teaching a child with autism to expand his eating habits I truly want nothing but the best for my lil man any info would be greatly appreciated !!!!! Sincerely a concerned father . Hi, My baby sister has ASD, NOS, PDD, and ADHD. She has dropped an enormous amount of weight within the last month or so. She weighed 68 pounds, she now weighs 47 pounds. She is so scrawny, you can see her bones. She is 6 years old, and about 3 feet, 10 inches tall. Her doctors are saying that she is going to end up sick if she doesn’t gain weight, but no matter what we try to do, she either won’t eat it or runs back and forth over-stimulating. I don’t know what to do, and I’m so worried. Do you have any advice/suggestions? Anything would help. Do feeding therapy). It got so bad last summer that he was hospitalized for 3 weeks and had to get a G-Tube placed. He continues with his therapies and tube feedings while we work on getting him to tolerate textures, smells, colors etc. I hope it gets easier for you guys! As I am sure you know, children with Autism are often selective eaters. With this population of children I do feel that in order to make real progress, professional guidance on an on going basis is necessary.I would be happy to help you find a provider in your area who specializes in feeding if you let me know where you live. Often children on the Autism Spectrum require a behavioral approach to feeding therapy. Sometimes that is provided by a Speech Language Pathologist, and sometimes by an ABA therapist. I would recommend finding a therapist who can work with your sister directly at least 2 times weekly. If you tell me where you live, I may be able to find a program in your area. If the people in your child’s life are concerned about your son’s development, I would suggest having him evaluated by a Speech Language Pathologist. Engage…engage…engage and engage more! Keep her off any screens and have everyone around her interact with her as much as possible, all the time. Even if she is good playing or sitting alone, still you should interact with her. You should also have her reevaluated every 6 months so nothing gets missed. Not sure if you check this board anymore, but your son sounds very similar to mine. If you’d be so kind, could you please provide an update on your son’s progress?